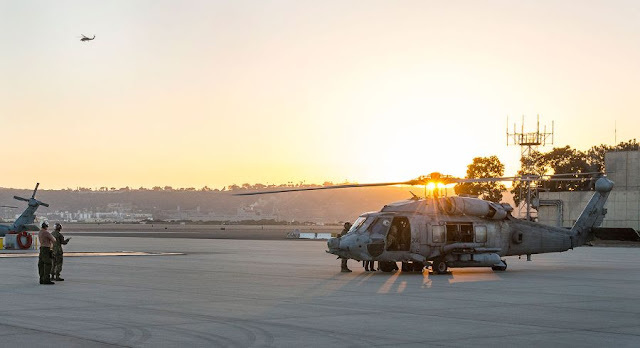 WASHINGTON — A Navy helicopter crewmember was killed and another suffered minor injuries last week at a California base when a fuel tank detached from a utility helicopter and landed on them, Navy officials said Tuesday. Navy Helicopter Aircrewman 1st Class Jonathan Richard Clement died July 30 when an auxiliary fuel tank fell on him from an HH-60H Sea Hawk during “hotseat” operations at Naval Air Station North Island, said Navy Cmdr. Ron Flanders, a spokesman for Naval Air Forces. During hotseat operations, a helicopter typically lands, is refueled or the crew is switched out while it is still running and quickly takes off again. The helicopter was on the ground when the fuel tank fell, Flanders said. It contained fuel and potentially weighed some 1,500 pounds.